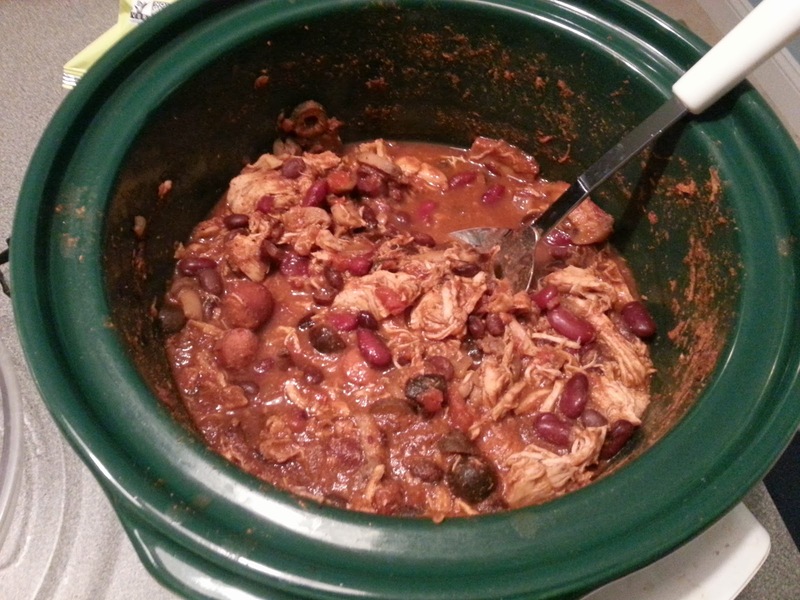 Tonight we had Slow Cooker Taco Chicken Chili but modified ever so slightly to be Shira Style. And because it was done in the crock-pot, it was steaming hot when we walked in from the gym this evening. That could probably be said about any meat slow cooker dish.